PennsylvAsia: Pittsburgh Chinese School hiring Chinese teachers for upcoming school year. 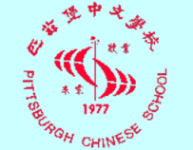 Pittsburgh Chinese School hiring Chinese teachers for upcoming school year. The Pittsburgh Chinese School, which meets on Sundays at Taylor Allderdice High School in Squirrel Hill, is hiring teachers for the upcoming school year. The Pittsburgh Chinese School invites people who have the love and responsibility, have teaching experience, and have a work permit to join the teaching team. 1. Love Chinese culture and have a passion to spread Chinese culture. 2, like children, have love, patience, responsibility, and affinity. 3. The pronunciation standard of Mandarin is clear and the language expression ability is strong. 4. Have basic English communication skills. 5, have Chinese teaching experience, especially those with primary and secondary school teaching experience is preferred. 6. Education or Chinese-related qualifications are preferred. 7. The literary and art teacher has relevant academic qualifications or work experience is preferred . other literary speciality teachers: Go, Chinese chess, singing, painting, calligraphy, Chinese folk instruments, handmade And paper cutting, etc. After reviewing the resume and application form, the school will contact the applicant and arrange an interview.